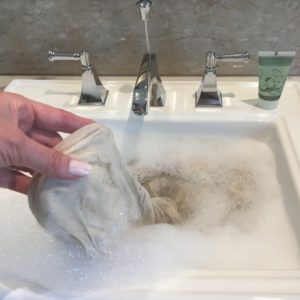 How to recognize a fake pashmina on the internet : the foolproof method! 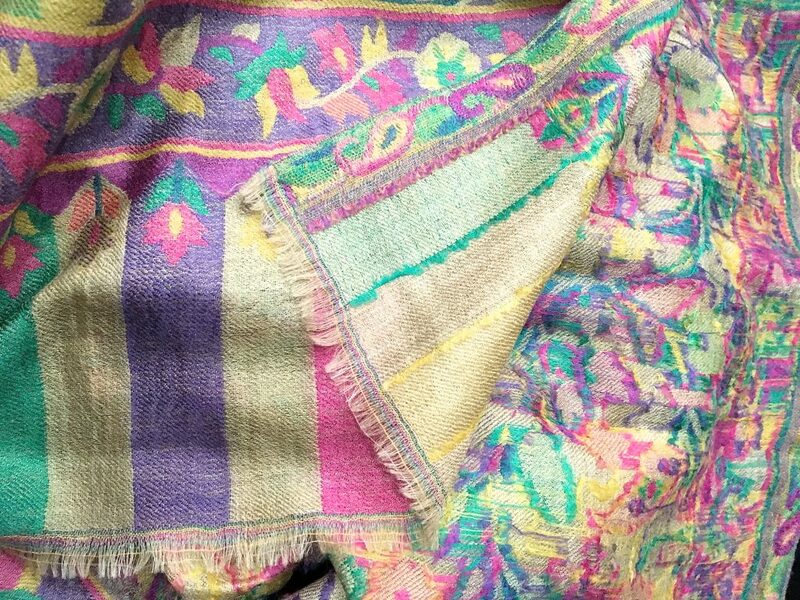 This is my favorite method to recognize a machine-woven fake pashmina, and from there detect sites that lie about the quality of the product. The article presents patterns woven into the tone-on-tone frame that can not have been made by the human hand but are made by mechanical jacquard looms. 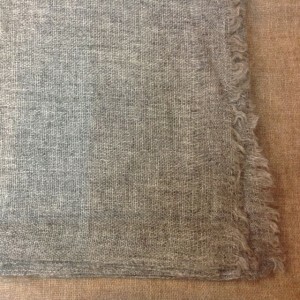 As for the material it can vary from Mongolian cashmere to mixed lambswool or name to silk. 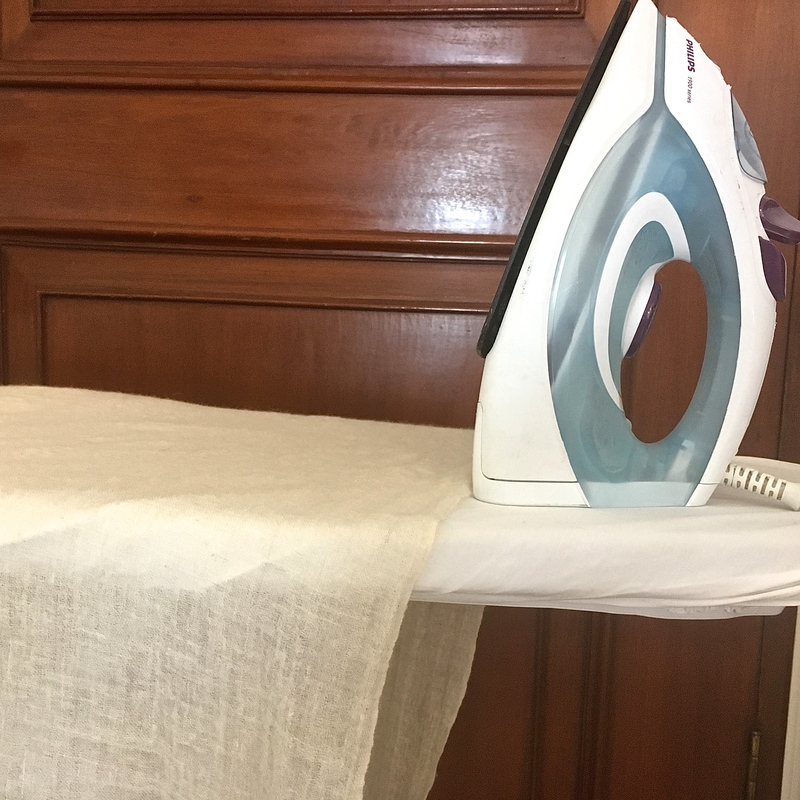 The real pashmina of Ladakh is too fine to support the tension that the machine imposes. Easier of course when you have the shawl under the eyes, but on the internet we have the resource to carefully examine the photos that we have at our disposal! On the left a real kani shawl patiently woven for months. FYI the photo was taken from an online Indian site where it is marketed 2639 US $. 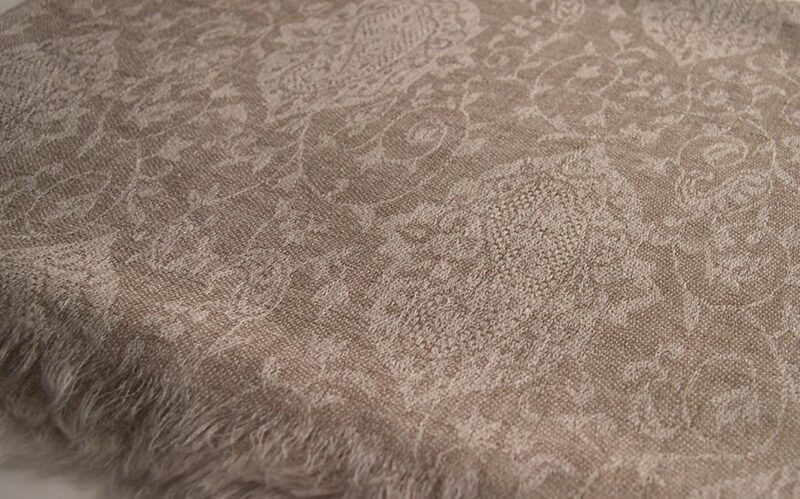 The patterns of kani weaving are well recognized, as well as its fine and dense appearance. The back has just a little less sharp outlines. 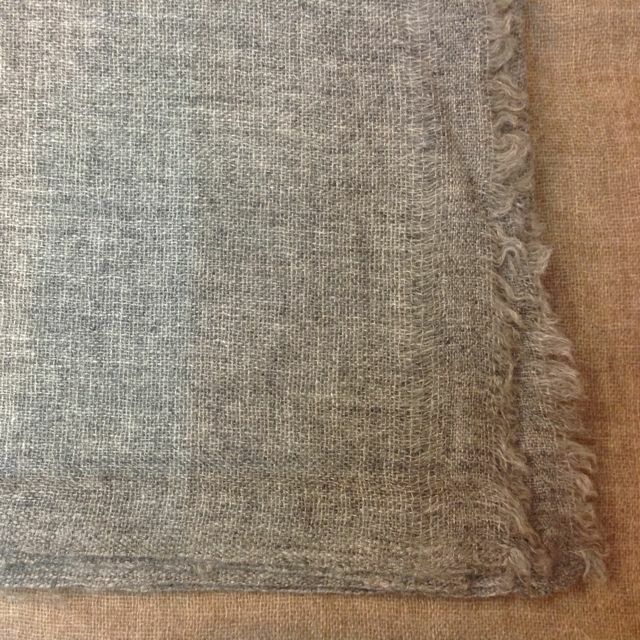 On the right is an imitation machine-woven kani shawl. It is identical to the first glance, except for its backside that can be seen at the top of the photo: it seems blurry and rough with overthickness. This is what we recognize a false kani. 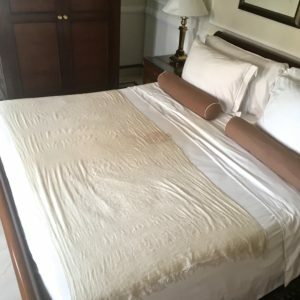 The photo is bad and had to be zoomed to examine the offending area … Of course this would be much more obvious with the room in question before the eyes! 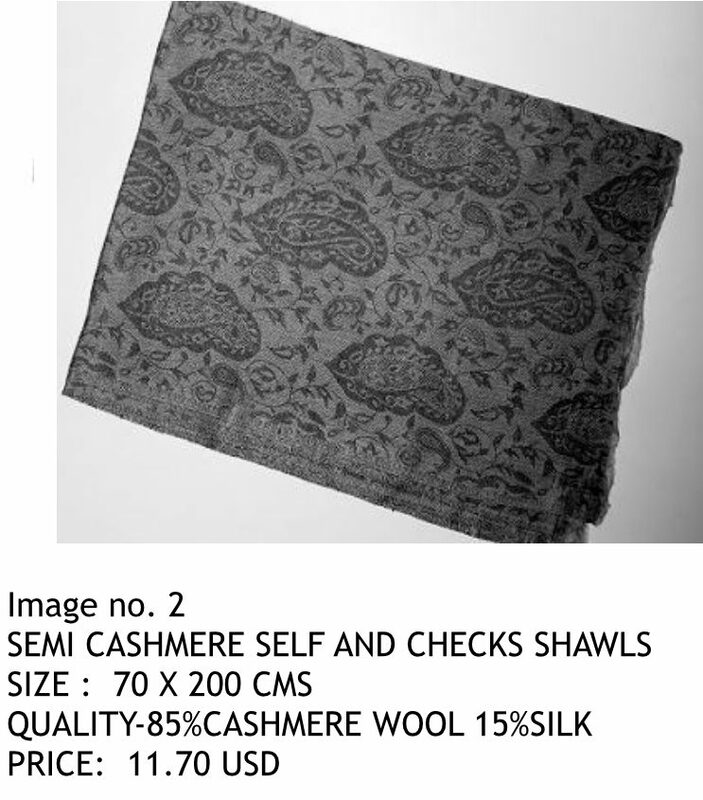 So back to the shawl spotted by the client on a competing website: it is not a real pashmina but a serial article made by machine, wool, perhaps mixed silk or cotton, at best cashmere of Mongolia, the merchant remaining completely free to apply the margins he wants! 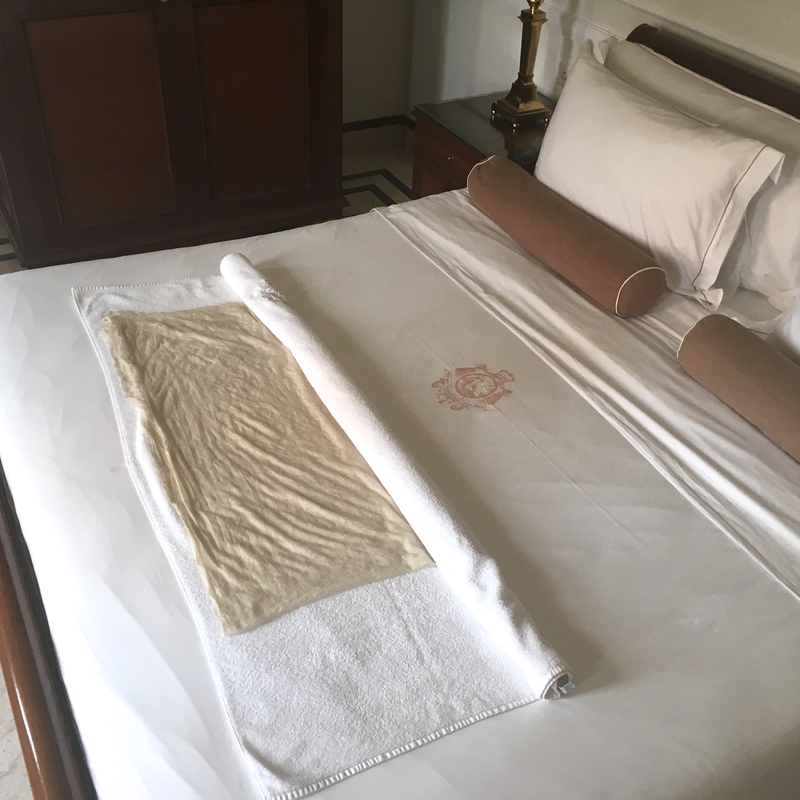 Following threats from the offending merchant site – Princesse Moghole being the reference of true pashmina in Europe this article had not gone unnoticed! – the photos extracted from this site with the proofs of the deception, had to be withdrawn, but the demonstration remains! 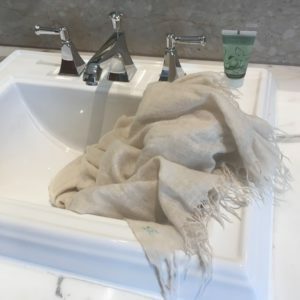 Of course it is impossible to mention here the name of the site in question but if like this customer, you have doubts about the quality of pashminas sold on another website, do not hesitate to contact us: we will inform you the most objectively possible. A last tip: if on a website you find a lie, it is an indicative able to cast doubt on the quality of the other products on offer. 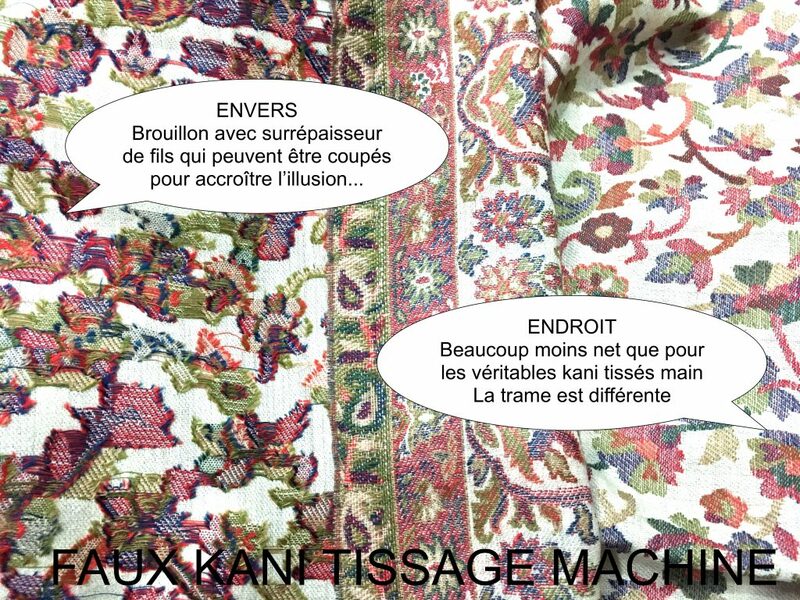 A site that offers “jacquards”pashminas so obviously machinewoven with the name “craft” probably sells its other items in machine quality, even when it is not obvious in the photos! More than ever it is advisable to be vigilant when choosing your pashmina on the internet, and never hesitate to assert your right of withdrawal: you have 14 days! How to recognize pure or fake cashmere: live from Kathmandu! 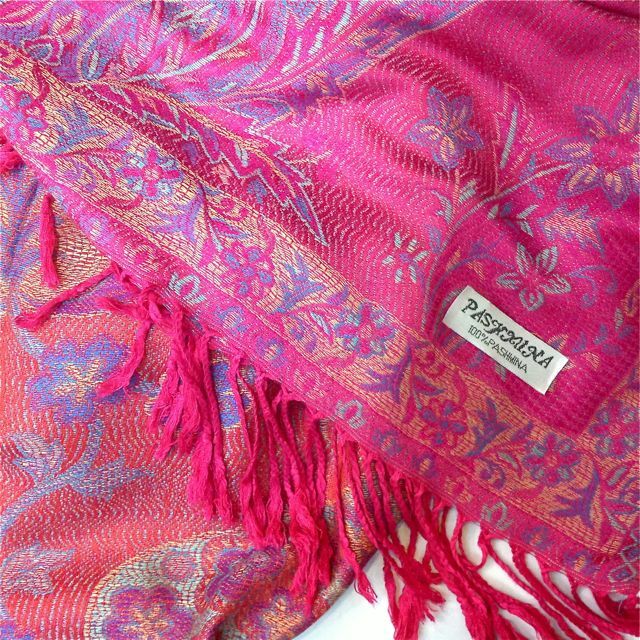 Nepal’s Kathmandu Valley is renowned for producing cashmere, woven or knitted items. 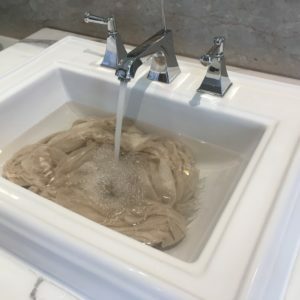 The cashmere yarn used is imported from China (Inner Mongolia) in the form of reels, Nepal being despite the altitude of its mountains, only a very small producer of cashmere down. 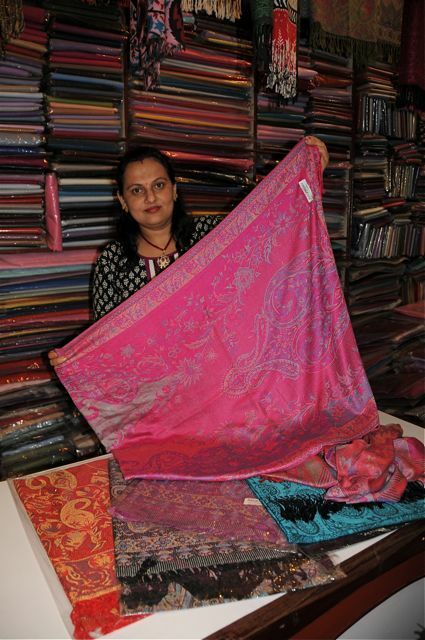 Its craftsmanship in weaving and dyeing is no longer to prove. 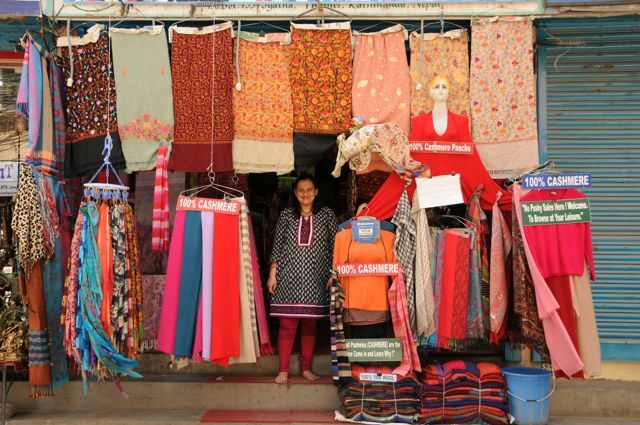 The center of Kathmandu is full of shops offering cashmere items, all qualities and prices: difficult to navigate, and the tourist is often an easy prey for many unscrupulous traders. 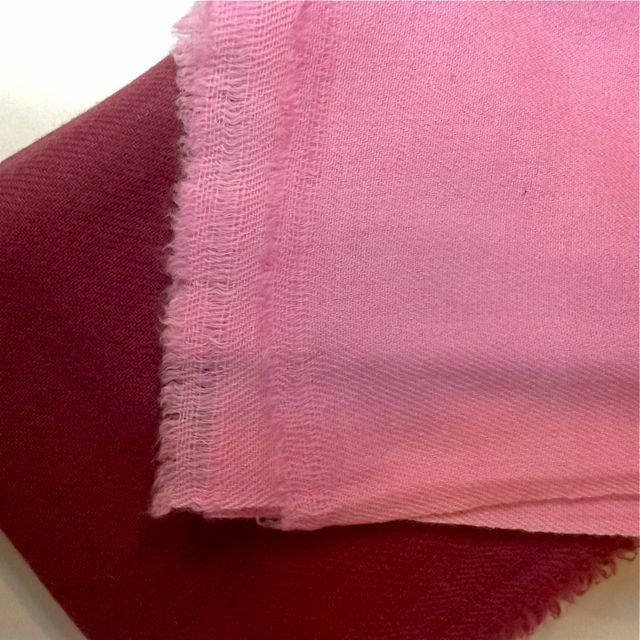 So… Pure or fake cashmere ? It is found everywhere, it floods the market. 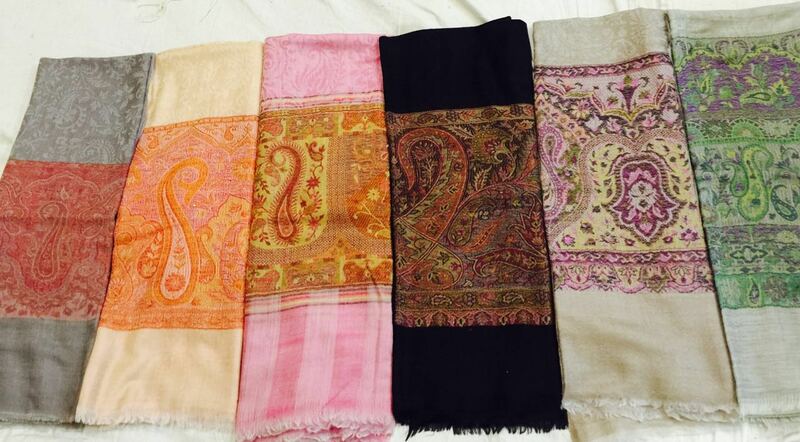 Labeled 100% pashmina, so-called cashmere, pashmina, wool or cotton, the imagination of sellers is limitless! It is actually a synthetic article manufactured industrially at low cost in China. Susma also tells me that this style of product can cause allergies. Same as the previous one but with a thread of even poorer quality … Once again as the photo shows, the appearance and softness are similar. 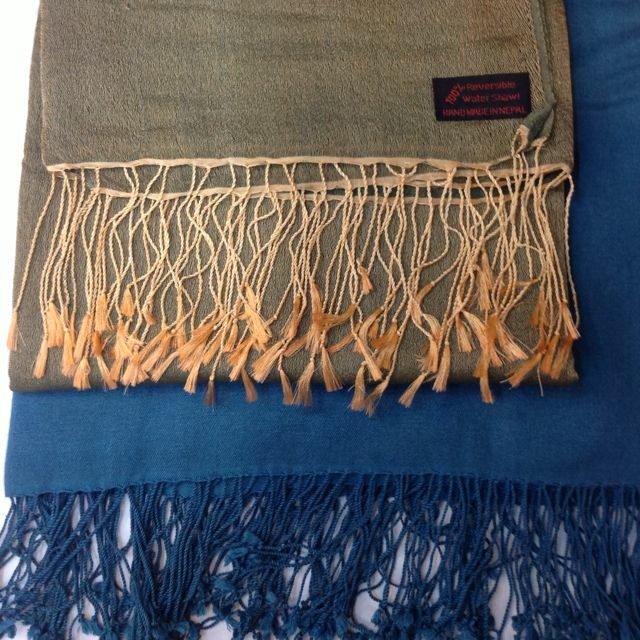 The classic stole with silk cashmere fringe is called water-pashmina. 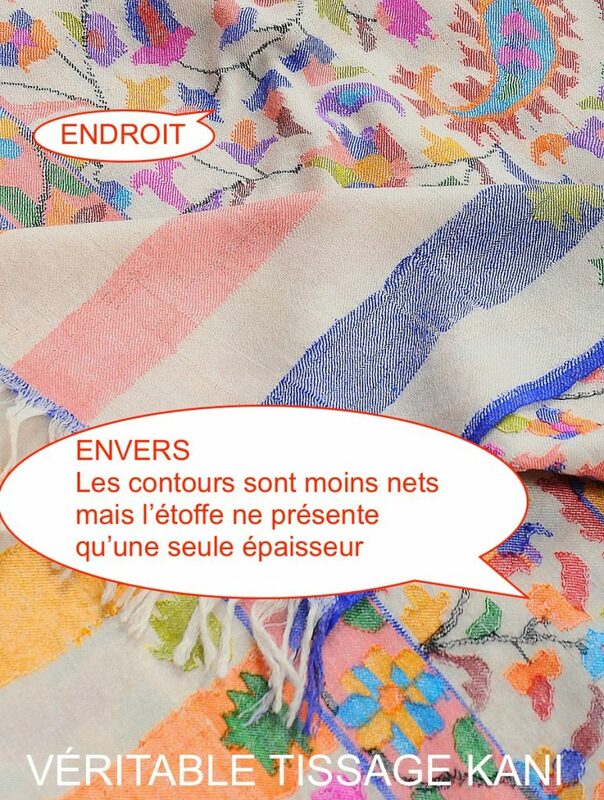 The more it is cheap, the less natural the composition will be … A real water-pashmina is woven of cashmere (70%) on a silk chain (30%). 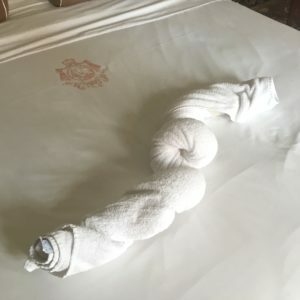 Almost as silky as the real one, the imitation is synthetic, and easy enough to detect by burning one of the threads: the natural silk must smell the burned horn. So good shopping and open your eyes! You do not have time to fly? 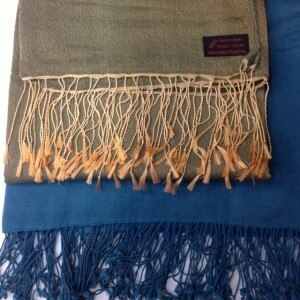 Here is our collection of 100% pure cashmere accessories handmade in Kathmandu!